Hi there! Thanks for visiting. We’d love for you to hang around. 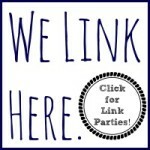 Pin with us on pinterest, subscribe by email (using the box on the right-hand side of the page), or join the conversation on the Nothing if Not Intentional facebook page. 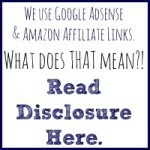 This is a sponsored post written by me on behalf of Citrus Lane. Believe it or not, someone offered to pay me to try out a box from Citrus Lane. I’ve always wanted to try Citrus Lane, so of course I agreed! You ARE familiar with Citrus Lane, right? No? Well then, I guess it’s my job to tell you more. Each month, folks who sign up with Citrus Lane receive a box of quality toys that are personalized for their children (birth to age 5). For me, the emphasis is on “quality.” The main reason why I’ve been curious to try Citrus Lane is because I recognize the brands I see in their ads and pictures–like Hohner Kids and Plum Organics. 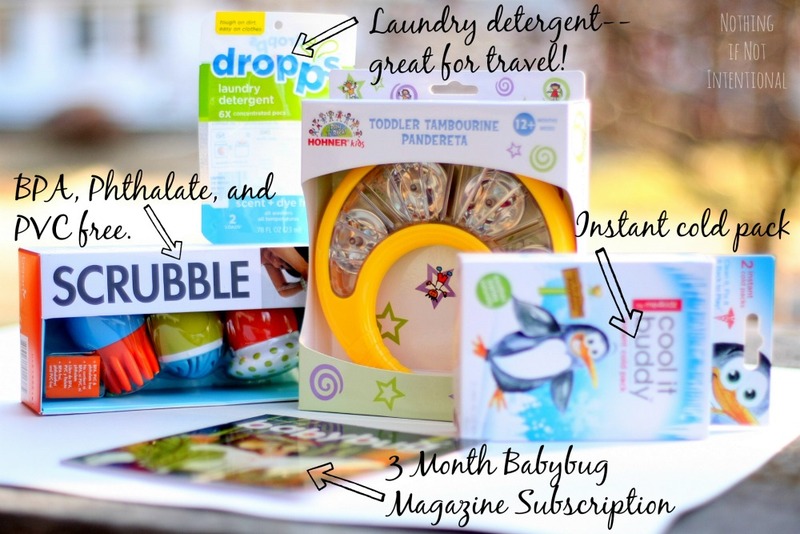 Boxes vary (each month it’s a combo of books, toys, snacks, etc), but Citrus Lane always tries to be green, eco-friendly, and truly safe for kids. My girls are 3 and 1, and they have both been having a blast with the box! 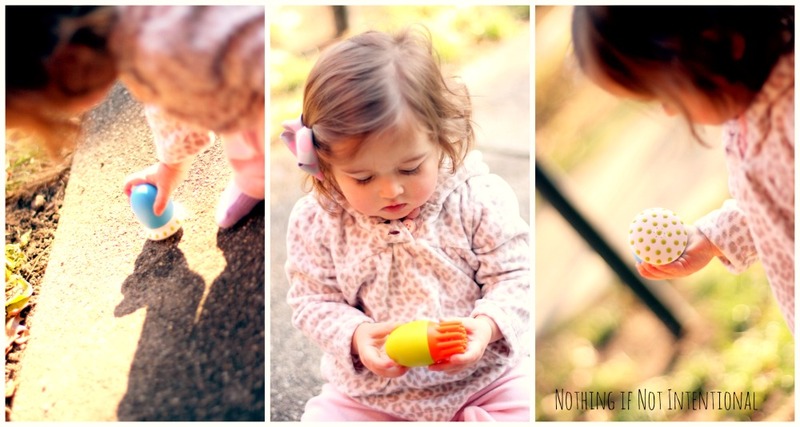 On an unseasonably warm day, we took the bath toys outside and played in the yard. See those detergent samples? I’m saving them for our next vacation. They’re GREAT for traveling! They’re easy to pack and just the right amount of detergent for a few days away. 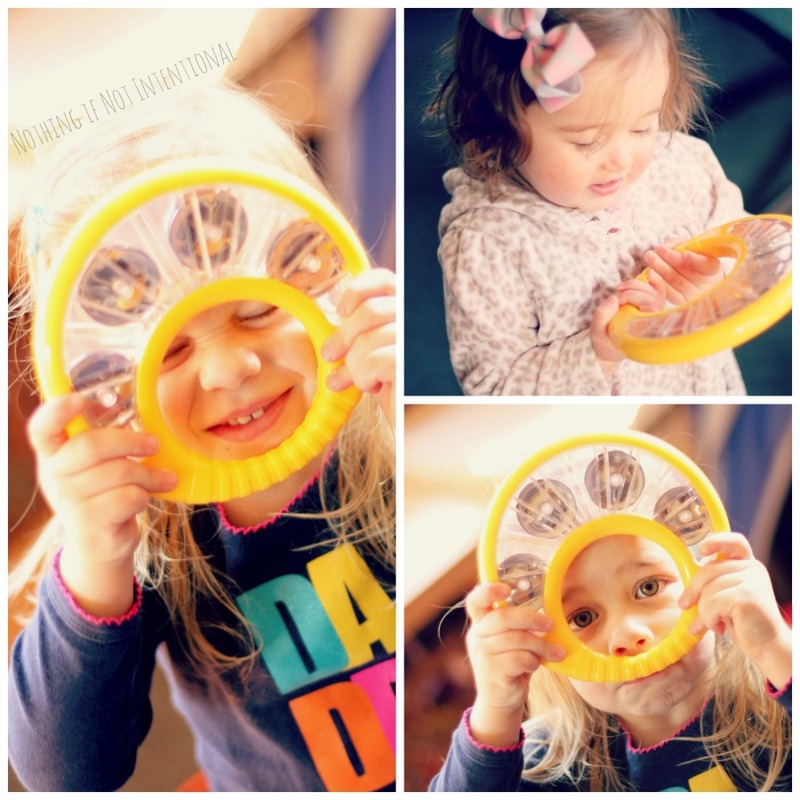 My favorite thing part of the box was the tambourine. We have a growing collection of musical instruments (including a real child-size violin. Can you believe it? ), but no tambourine! It was perfect for both of my girls. I think the subscription service would be great for out-of-town grandparents to give for Christmas. It would be a sweet reminder each month that you’re thinking of your grandbabies. 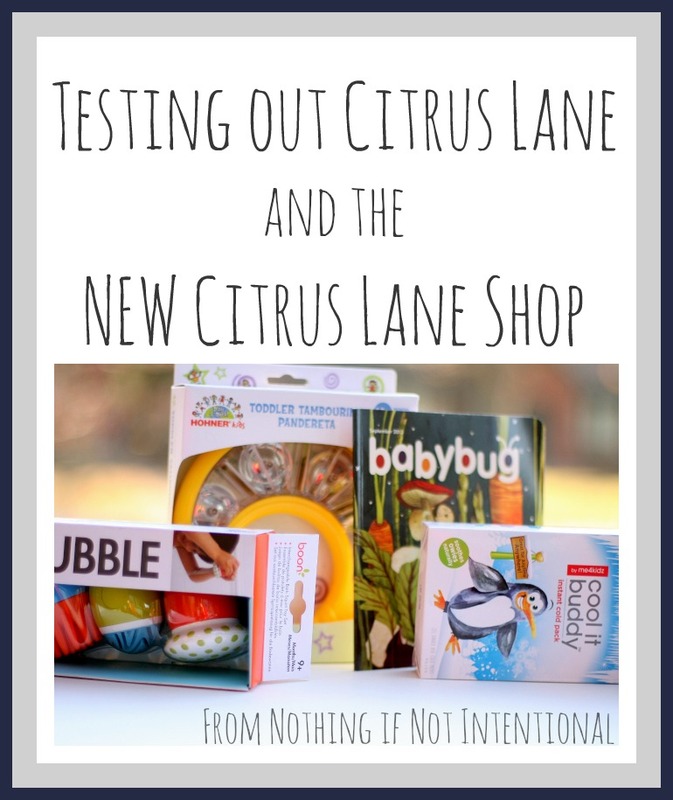 And for those who would like to pick and choose their products, Citrus Lane recently launched a new part of their website–the Citrus Lane shop. That means you can find your favorite Citrus Lane products and ship them straight to your house. The best part? One lucky reader is going to win a $25 gift certificate to the shop just by commenting or tweeting. I know they already sent me a box, but I wish I could enter and win. I want to shop the travel section and buy one of those adorable owl backpacks or a Trunki! Giveaway is limited to entrants who are 18 years and older and residents of the continental U.S. Good luck!